Driving in adverse weather or at night can create challenges. Upgrading or replacing your factory fog lights will give you that extra advantage if you should ever find yourself facing these challenges. Spyder LED replacement fog lights are direct replacements for factory fog lights and are available for a wide variety of cars, trucks, & SUVs. These LED lights from Spyder are designed to give you an upgraded look using the latest technology, while mounting in exactly the same location of your OEM lights. All of their LED light products are made to meet or exceed the standards set for OEM fog lights. 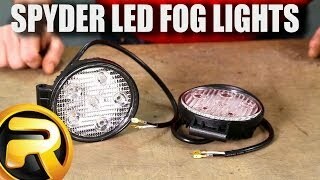 This means your new LED fog lights will outperform and outlast the factory halogen lighting. Installation is kept simple and easy since these lights are meant to install using your vehicle's factory fog light location. You have your choice of lens color, including smoke. Upgrading or adding fog lights is always a good idea. 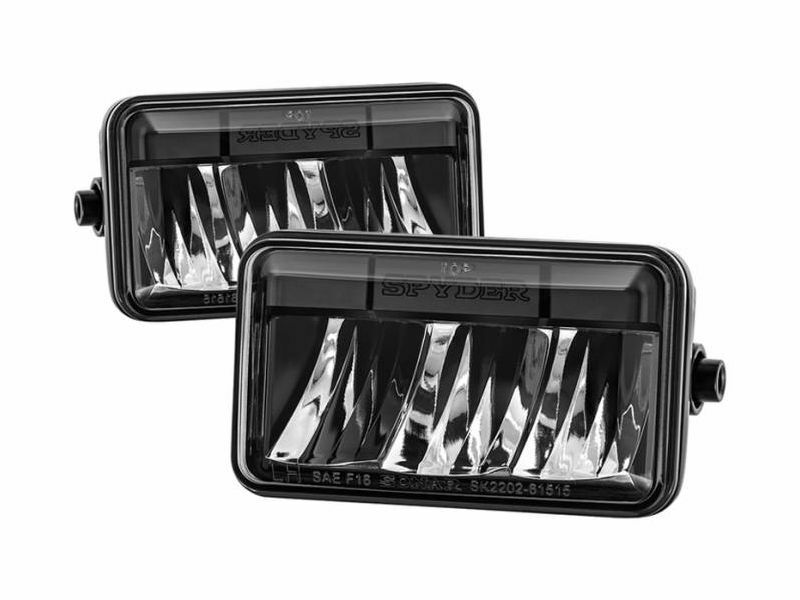 Spyder LED replacement fog lights will add style and safety to anything you drive. Choose to improve your safety and enhance your ride. Get a set coming your way today!